Fan of coconut oil, vanilla and a bit of sugar? Sugar scrubs are a great way to slough off that old layer, unclog blocked pores, and perk up the complexion. If you feel your face or body has a dull appearance it could mean an accumulation of dead skin cells on the surface of your skin. The best way to regain that healthy glow is to remove those old skin cells through exfoliation. you are applying the moisturizer to old, dead skin cells and it is not penetrating the upper layer of your skin. Exfoliating regularly with gentle scrubs can help with this issue. Coconut oil is ideal for those who prefer a less 'oily' feel to their scrubs. Scrubs using liquid oil can be on the messy side since the oil rises to the top. Wonderful as they are, when coconut oil is a bit firm it makes for a not so goopy scrub. Long used in skin care for not only its antimicrobial properties, but the fact that being it absorbs easily into the skin it makes a great moisturizer. Our Sugar Scrubs are brown in color because the sugars used are raw. White sugar as we are most familiar is the result of sulfur dioxide being introduced to the cane juice before evaporation. It effectively bleaches the mixture. Typical brown sugar for baking is white sugar with the addition of molasses. 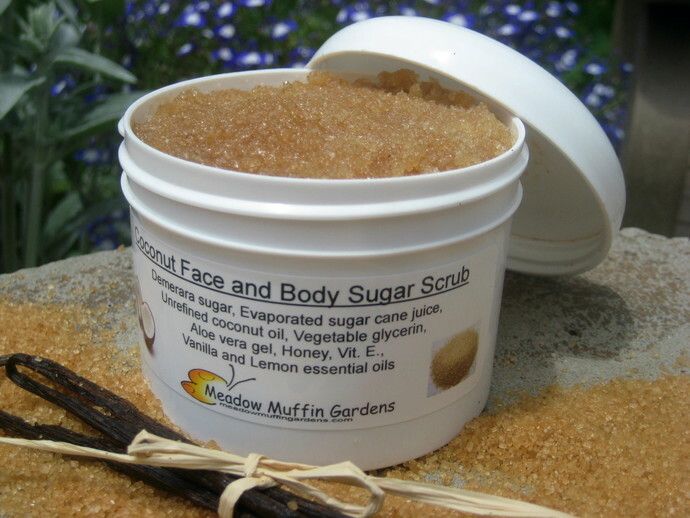 The sugars used for this sugar scrub are evaporated sugar cane juice and demerara sugar. Cane sugar contains a naturally occurring acid known as glycolic acid which belongs to the family of alpha hydroxy acids (AHA). These acids stimulate and loosen the dry flaky layer created by these dead skin cells. Sugars used are chosen due to their organic origins and grain texture. Cane juice sugar has the finer texture and demerara sugar offers a coarser level of exfoliation. Glycerin, soothing aloe vera and the almost magical properties of honey are added for their skin loving hydrating benefits. Those who love the warm, comforting smell of vanilla will enjoy this scent. 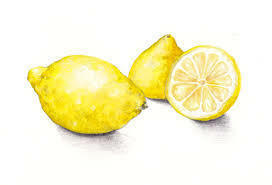 A touch of lemon essential oil is added as well to round out the heavier vanilla. 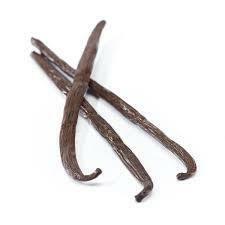 Vanilla is rich in both antibacterial properties as well as antioxidants. Vanilla can be very beneficial to help the skin in dealing with pimples as well as be an aid to combat skin aging free radical damage. The saturation of moisture in the scrub by dissolved sugar produces a natural preservative through a process called osmosis. Bacteria's moisture is dehydrated by the created hypertonic solution. The glycerin also offers preservation benefits. However, being we do not add synthetic preservatives shelf life may be limited should bacterial be introduced from your fingers or water dripping into the scrub. We suggest the included scoop be used to stir and dip out the portion to be used. Wet the chosen area of skin and apply a small portion at a time and massage in gentle circular motions. When finished rinse off with warm to cool water. Don't use hot water as hot water may break delicate capillaries. Pat dry, don't rub, follow with a toner to remove residue, and then moisturize. Sugar scrubs are less abrasive than salt scrubs, so you can use it as often as once or twice a week, depending on skin type. Use on just your rough elbows, knees or feet or enjoy its nourishing effects over the entire body including your face (gently and avoid the eye area). Besides its use as a face and/or body exfoliation, another great way to use a sugar scrub is to get rid of those bumps on the upper arms. "Chicken skin bumps" are fairly common and can be treated at home with simply apple cider vinegar and a sugar scrub! While in the shower, wash your upper arms with apple cider vinegar by adding a small amount to your washcloth. Rinse your arms with water and follow with a gentle massage with a bit of the sugar scrub. Massage gently for a minute or two and rinse off. It may take a few applications to see any difference but it is worth a try. *******In cooler temperatures, coconut oil solidifies and in warmer temperatures above 76 degrees it begins to melt. Depending on the temperature, your scrub may appear to be firmer with white parts throughout, or of a more loose consistency, but that is just the coconut oil. *******Upon ordering choose whether you want the refined or unrefined coconut oil. The differences between refined and unrefined coconut oils are in how the oil is processed. Both the refined and unrefined coconut oils have been expeller, cold-pressed without the addition of any chemicals. There are refined coconut oils on the market that use a chemical distillation process dependent on solvents such as lye. These products may be hydrogenated using high heat which should be avoided as they create synthetic trans-fats. According to the company from which I purchase many of my oils, their coconut oil underwent a natural, chemical-free cleaning process involving steam and/or diatomaceous earth. The cold pressed extraction method yields an oil of higher nutritional value than extraction methods that use chemicals or heat. The smell of coconuts in the refined coconut oil is removed by heat, but the temperatures do not go over 120 degrees Fahrenheit. Some antioxidants are destroyed but some can actually increase. Antioxidants must still be present and not destroyed through processing in order for coconut oil to fight free radical damage. As to whether coconut oil is comedogenic, meaning it clogs pores, depends on a person’s skin type, pore size, and the quality of the oil itself. Overall, good quality coconut oil can be wonderful in skin care. Items made with the unrefined coconut oil do have a noticeable scent of coconut, however it is pleasant and not at all overwhelming. 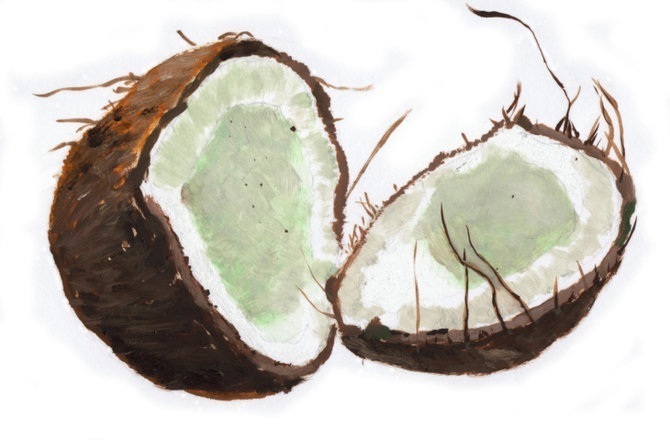 The unrefined will have the aroma we expect from coconuts which blends just fine with the vanilla essential oil. Scrubs come in a plastic screw top jar weighing about 14 oz. Included is a small plastic scoop which holds up to 1.5 Tbsp. Scrubs are available in either the #2 HDPE white plastic jar with a white lid or the #1 PET clear plastic jar with a blue lid.